A visit to PEI that is most welcome – Joyce's mystery and fiction book reviews with some non-fiction too! Many of us have warm memories of Anne of Green Gables, both from the novel and the Megan Follows and Colleen Dewhurst TV series. An updated series Anne with an E can now be streamed on Netflix, although I have not seen it. Anne was a favorite character for me and I have reread the novel as an adult. So…as you can imagine, I was excited to learn about this book. It is wonderful! I was torn between moving ahead quickly and savoring. 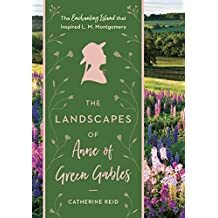 This is a book to be enjoyed for the many photos and for the insight into Maud Montgomery’s life. Even if you have never read Anne of GG, this book provides a lovely, serene and visual armchair travel experience. Highly recommended!